After Milani dropped that massive matte bomb on us it was kinda hard to pay any attention to the other 2 new additions to the Color Statement line up. Honestly, I completely forgot about them until I randomly browsed the Milani display one day. There’s two pinks, cutely named Catwalk Pink and Power Pink. Catwalk Pink looked a little too light for me so I only grabbed Power Pink. Power Pink is a bright cool magenta with a creamy satin finish and sweet vanilla scent. 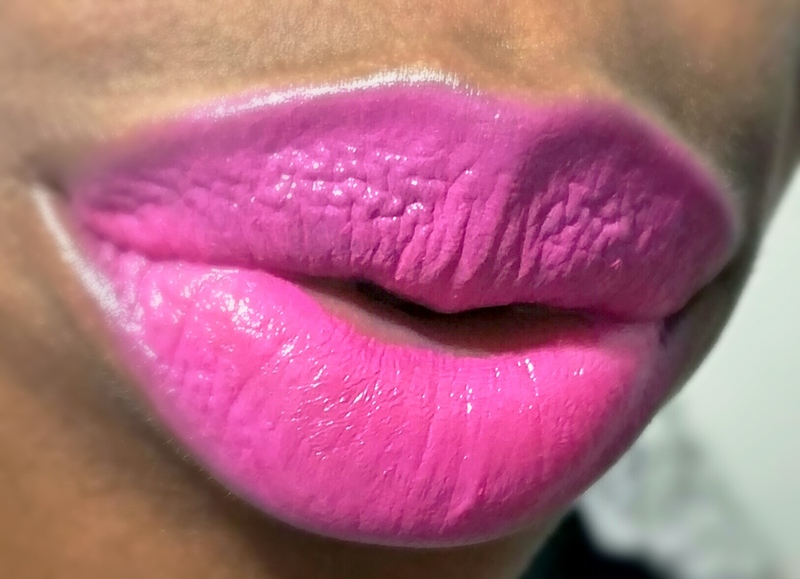 It’s a lovely pop of color for spring and a refreshing change from the wave of matte lips. 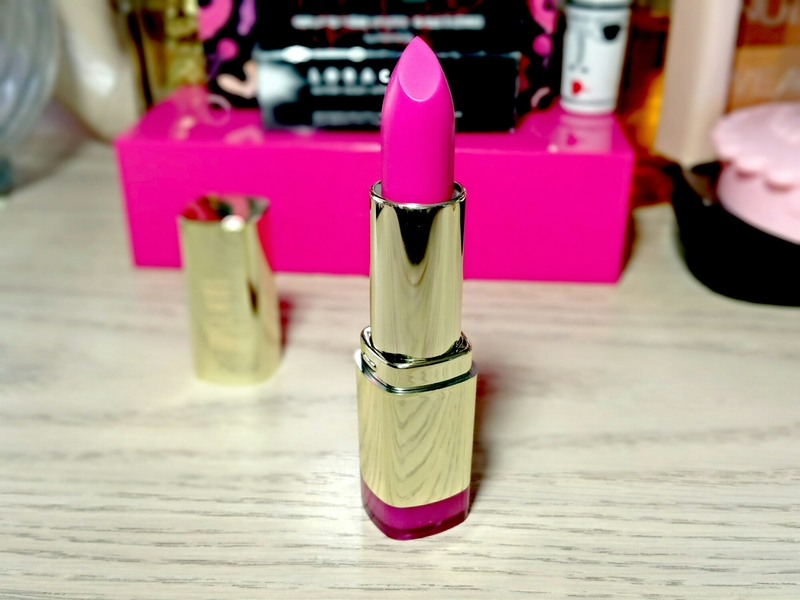 Application is a breeze as Power Pink applies smoothly and evenly with a lightweight creamy texture and loads of pigmentation. I found the formula quite comfortable to wear but it can be unforgiving. 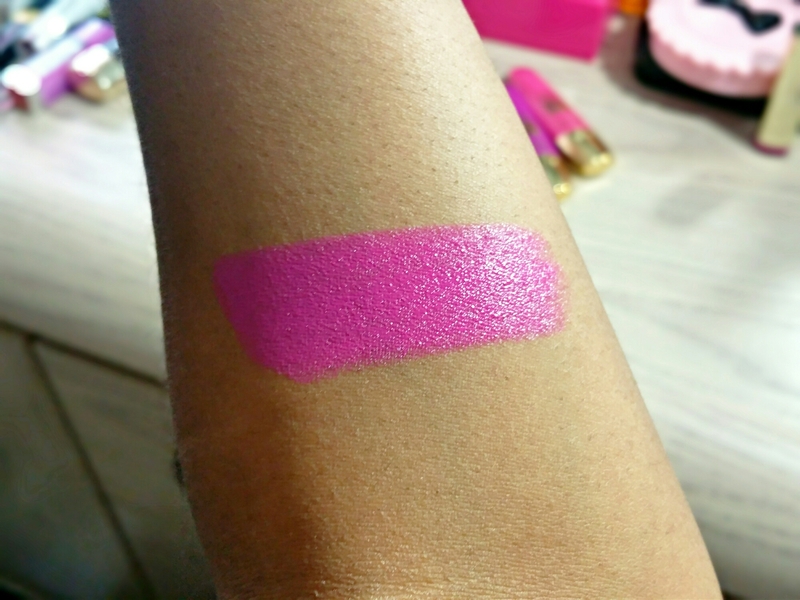 Power Pink doesn’t seem to settle into lip lines but it does catch on to every flake and imperfection so you’ll definitely want to exfoliate beforehand. Once you exfoliate, Power Pink is smooth sailing for around 3-5 hours before fading into an intense stain. 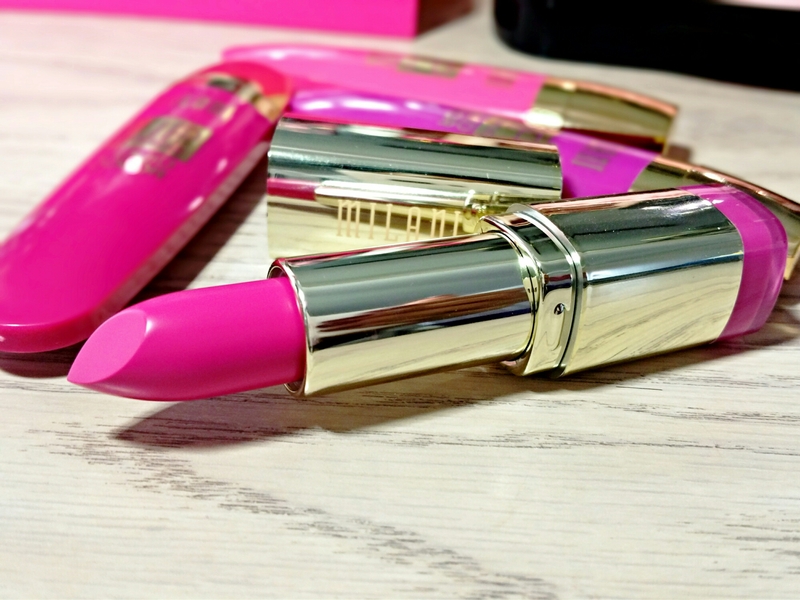 If you’re in the market for a new bright pink lipstick I recommend picking up Power Pink. It’s incredibly flattering and perfect for spring! 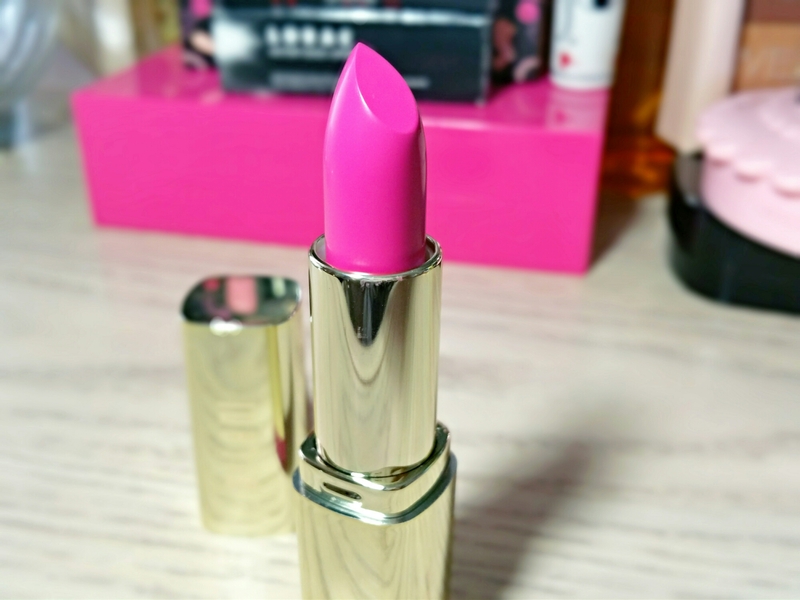 I never really go for pinks this bright in lipstick, but I am loving this on you! It looks bright and perfect for spring without being harsh, makes me want to start trying brighter colors! Thank you! I think anyone could pull this off. It’s just a matter of owning it! Have you tried it yet? How do you like it? I love that you included a full picture with the lipstick on! It looks beautiful on you! 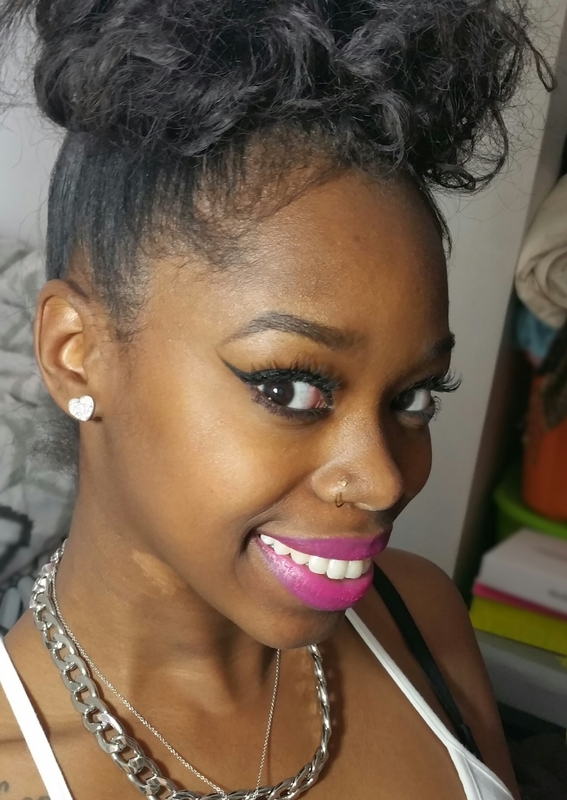 Fancie, that’s a great pic, what a beautiful smile! And that color looks awesome on you!